*** The Solar Eclipse is coming and what an exciting event it will be, but we want to highly encourage you to research the solar glasses you purchase to make sure you don’t damage your eyes. You can visit https://www.space.com/36941-solar-eclipse-eye-protection-guide.html for more information. Through August 5 – Senior League World Series Baseball at J.B. Red Owens Sports Complex in Easley. Come out and see some of the best baseball you can see in South Carolina! For more information call (864) 855-7933 or visit http://www.slbws.org/. Through August 6 – “Othello” at the Warehouse Theater in Greenville. You’ll enjoy a fabulous presentation of this Shakespearian play. For more information call (864) 235-6948 or visit https://app.arts-people.com/index.php?actions=4&p=1. Through August 12 – “Million Dollar Quartet” at the Center Stage Theatre in Greenville. This Tony award winning Broadway musical was based on a true story of the famed recording session where Sam Phillips brought together icons Johnny Cash, Carl Perkins, Jerry Lee Lewis, & Elvis Pressley. For more information call (864) 233-6733 or visit https://centrestage.org/million-dollar-quartet/. Sundays through October – Woodburn and Ashtabula Historic Home Tours at the house locations in Pendleton. For more information call (864) 646-7249. August 1 – 5 – Senior League World Series Baseball at the J. B. Red Owens Sports Complex in Easley. Here is your chance to see some of the best baseball players moving up the ranks to the pros. For more information visit http://www.slbws.org/. August 4 – Summer Music Series: “The Accidentally Irish Lads and Lasses” at the Tater Shed in Simpsonville. End your week on an Irish note with fun music in this beautiful upstate town. For more information call (561) 310-3379 or visit http://www.safiarts.com/. August 11 – Summer Music Series: “The Sound Committee” at the Tater Shed in Simpsonville. Grab a blanket, fill a picnic basket, and end your week with a fun evening of live entertainment and relaxation for the last concert of the season. For more information call (561) 310-3379 or visit http://www.safiarts.com/. August 11 – 12 – Taste of the Arts Gala & 20 Artists X 20 Workshops at the ARTS Center in Clemson. Start the weekend with a wonderful evening of good food, refreshments, and music, while meeting the 20 artists that will offer a variety of unique workshops the following day. For more information call (864) 633-5051 or visit http://explorearts.org/. August 11 – 13 – Switch-a-Roos Consignment Sale at the TD Convention Center in Greenville. This event is a consignment sale of new or gently used children’s clothing, shoes, accessories, baby equipment, toys, and maternity clothing so be sure to come out and search for that special bargain! For more information visit http://www.switcharoosconsignment.com/greenville-consignment-event.php. August 11 – 20 – “Wait Until Dark” at the Oconee Community Theater. This mystery thriller is guaranteed to keep you on the edge of your seat! For more information call (864) 882-1910 or visit http://www.oconeetheatre.org/shows.html. August 11 – 26 – “Dearly Beloved” at the Abbeville Opera House in Abbeville. This theatrical event will take you to a Southern Texas wedding that will keep you laughing from beginning to end. For more information call (864) 366-2157 or visit http://www.theabbevilleoperahouse.com/Show/Details/37. August 12 – Living History Saturday at the Walnut Grove Plantation in Roebuck. Enjoy a day of learning about historical life on the Plantation. For more information call (864) 576-6546 or visit http://www.spartanburghistory.org/calendar/. August 12 – 24 Hour Musical at Anderson’s University’s Henderson Auditorium in Anderson. The musical for this event, which is prepared for in only 24 hours, will not be announced until 24 hours before the show, but if you go to the website, you’ll see the list of 10 musicals it will be chosen from. For more information call (864) 932-3124 or visit http://www.24hourmusicalsc.org/show/. August 12 – Superhero 5K at the Kroc Center in Greenville. Get your superhero costume ready not only for the race, but to see if you can win the best costume, all to raise money for the Boys and Girls Club. For more information call (864) 235-4803 or visit https://raceroster.com/events/2017/11852/superhero-5k. August 17 – Dream Big Showcase at the Pickens Performing Arts Center in Liberty. For more information call (864) 898-2485 or visit http://www.pickenscountyperformingartscenter.com/events/list/. August 18 – “Chris Botti” at the Peace Center Concert Hall in Greenville. You won’t want to miss the chance to see America’s largest selling instrumental artist! For more information call (864) 467-3000 or visit http://www.peacecenter.org/events/detail/chris-botti. August 18 – 19 – Anderson Quilt Show Tours at the Anderson Civic Center in Anderson. This fun event will include vendors, a handmade boutique, demonstrations, a silent auction, and a chance to travel to some of the sites on the Upstate Heritage Quilt Trail. For more information call (864) 224-6440 or visit http://www.andersonscquilters.com/2017-quilt-show.html. August 18 – September 3 – “Happy Days: A New Musical” at the Foothills Playhouse in Easley. If you were a Happy Days fan, you most certainly will enjoy this fun and entertaining musical with all your favorite characters! For more information call (864) 855-1817 or visit http://www.fhplayhouse.com/wordpress/production/happy-days-musical/. August 19 – Bon Dance Festival on McAlister Square in Greenville. This family friendly event will include crafts, games, prizes, as well as martial arts demonstrations and dancing. For more information visit https://jaasc.org/bon-dance/. August 19 – Cruisin’ for a Cause Boat Run at Camp Fellowship on Lake Greenwood in Greenwood. This fun event will include great prizes, entertainment, food, and a live auction, all to benefit and raise awareness for those with disabilities and special needs. For more information visit http://www.burtoncenter.org/event/cruisin-for-a-cause-boat-run-1. August 19 – The Rolling Waterwheel Gospel Revue at the Haygood Mill Historic Site and Folklife Center in Pickens. If you enjoy gospel music, this event will provide you with old camp meeting songs, hymns, and a variety of traditional gospel music. For more information call (864) 898-2936 or visit https://www.visitpickenscounty.com/event/1640/the-rolling-waterwheel-gospel-revue/. 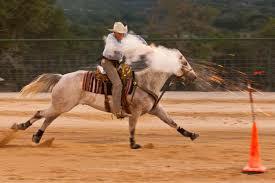 August 19 – 20 – Cowboy Mounted Shooting at the T. Ed Garrison Livestock Arena in Pendleton. This is a four stage main event where contestants break balloons with single action 45 caliber revolvers using black powder while on horseback, followed by a two stage rifle match, and ending with a cavalry match with participants dressed in Civil War attire. For more information call (864) 646-2717 or visit https://www.clemson.edu/public/garrison/calendar.html. August 21 – BJU Eclipse Event at Bob Jones University in Greenville. This event is for adolescents in grades 7th – 12th and their families, with science activities and fun, interactive activities related to the solar eclipse. For more information call (864) 242-5100 or visit http://www.bju.edu/eclipse/. August 21 – Eclipse Over SWU at the Gilbert Track and Field Complex at Southern Wesleyan University in Central. This event will include live music, talks with scientific experts, activities for the kids, free water with other food and drink available for purchase, so bring a blanket and/or some chairs, and come out for this upstate once in a lifetime event. For more information call (864) 644-5382 or visit http://www.swu.edu/eclipse/. August 22 – 27 – “The King and I” at the Peace Center Concert Hall in Greenville. This musical is one of Rogers and Hammerstein’s greatest works, so if you haven’t seen it, you must be sure to or come back and see it again if you already have. For more information call (864) 467-3000 or visit http://www.peacecenter.org/events/detail/the-king-and-i. August 3 – “Lego Batman Movie” at the Sumter Opera House in Sumter. If you haven’t had a chance to see it yet, there will be three showings on this day and it’s only $1 as is the popcorn and water! For more information call (803) 436-2616 or visit http://www.sumtersc.gov/SOHSummerMovies. August 3 – Countdown to Kindergarten at St. Johns United Methodist Church in Rock Hill. Families can come out and meet with educators and community members to help the little ones transition to the school setting, and obtain free admission to the Main Street Children’s Museum once you finish. For more information call (803) 327-6400 or visit http://chmuseums.org/event/2267/. August 4 – “Susan Douglass Taylor” in Memorial Park in Newberry. Come out for a fun evening of free entertainment with this amazing singer, followed by a movie at the Newberry Opera House. For more information call (803) 276-6264 or visit http://www.newberryoperahouse.com/shows-and-events.html?show_name=free-summer-concerts-in-the-park. August 5 – Solar Astronomy Day at the Museum of York County in Rock Hill. Prepare for this upcoming amazing event and know everything you need to know prior to viewing the event, as well as spending time in the Planetarium learning about eclipses. For more information call (803) 329-2121 or visit http://chmuseums.org/event/2257/. August 5 – “Roads and Rails” (Songs and Tales) at the Aiken Visitors Center and Train Museum in Aiken. Come out and hear railroad songs and a bit of country too! For more information call (803) 293-7846 or visit http://www.visitaikensc.com/calendar/event/roads_n_rails. August 6 – “Two Small Pieces of Glass” at the DuPont Planetarium on the USC Aiken Campus in Aiken. Learn how telescopes work and how they have changed from the two pieces of glass Galileo used in his spyglass to the huge devices used today. For more information call (803) 641-3654 or visit http://rpsec.usca.edu/planetarium/showlist.html#twosmallpieces. August 6 – Digistar Virtual Tour at the DuPont Planetarium on the USC Aiken Campus in Aiken. Take a virtual tour through space, through a virtual amusement park and even a ride on a roller coaster. For more information call (803) 641-3654 or visit http://rpsec.usca.edu/planetarium/showlist.html#virtualjourney. August 12 – Pastel Horse Workshop at the Aiken Center for the Arts in Aiken. Learn how to draw a horse with pastels, and you don’t have to have any experience to participate in this workshop. For more information call (803) 641-9094 or visit http://www.visitaikensc.com/calendar/event/pastel_horse_workshop. August 12 – Back to School Bash at Mt. Pilgrim Family Life Center in Lugoff. There will be games, contests, door prizes, and lunch, with all children getting a filled book bag at the end of the day while the supply last. For more information call (803) 736-1175 or visit http://mpfoundationcares.org/back-to-school-bash/. August 12 – Try Watercolors with Marcia Kort Buike at the Center for the Arts in Rock Hill. Here is your chance to give watercolors a try, and for those who think they can’t do it, all you really need is the desire to have fun and play with colors. For more information call (803) 328-2787 or visit http://www.yorkcountyarts.org/40-for-40-events?lightbox=dataItem-j4k5y0h4. August 13 – “Two Small Pieces of Glass” at the DuPont Planetarium on the USC Aiken Campus in Aiken. Learn how telescopes work and how they have changed from the two pieces of glass Galileo used in his spyglass to the huge devices used today. For more information call (803) 641-3654 or visit http://rpsec.usca.edu/planetarium/showlist.html#twosmallpieces. August 13 – Digistar Virtual Tour at the DuPont Planetarium on the USC Aiken Campus in Aiken. Take a virtual tour through space, through a virtual amusement park and even a ride on a roller coaster. For more information call (803) 641-3654 or visit http://rpsec.usca.edu/planetarium/showlist.html#virtualjourney. August 18 – “Sixteen Candles” at the Sumter Opera House in Sumter. Take time out on your Friday to enjoy a fun movie! For more information call (803) 436-2616 or visit http://www.sumtersc.gov/SOHSummerMovies. August 18 – 20 – Total Eclipse Weekend at the Santee Conference Center in Santee. Here’s a chance to get a great view of the solar eclipse from the shores of Lake Marion, but prior to the event the town of Santee will have a variety of activities including seminars, a street dance, and a bridge run so plan to spend the weekend in this beautiful little town known for it’s great fishing. For more information call (803) 854-2152 ext. 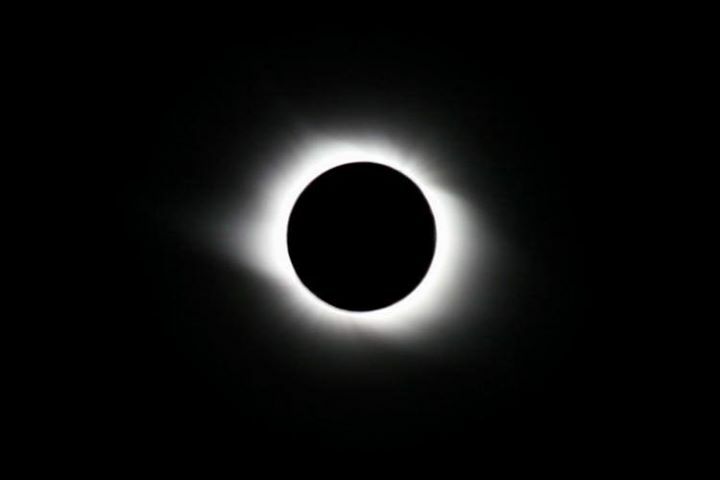 203 or visit http://www.eclipse2017.org/2017/communities/states/SC/Santee_1603.htm. August 19 – Photos to Pain – Marsh Wind at the Aiken Center for the Arts in Aiken. Here’s a chance to learn or practice painting sky, grass, water, and Palmetto Trees. For more information call (803) 641-9094 or visit http://www.visitaikensc.com/calendar/event/photos_to_paintings_workshop_marsh_wind. August 19 – Acrylics Made Easy Workshop at the Aiken Center for the Arts in Aiken. Here is a chance for you to work in acrylics while painting a graceful flamingo (no experience needed). For more information call (803) 641-9094 or visit http://www.visitaikensc.com/calendar/event/acrylics_made_easy_workshop_-_flamingo. August 19 – Guild Luau Under the Star at the Newberry Opera House in Newberry. Come out for a fun evening of live entertainment by “Grand Illusion”, food, beverages, dancing, and celestial viewing by telescope. For more information call (803) 276-5179 or visit http://www.newberryoperahouse.com/shows-and-events.html?show_name=guild-luau-under-the-stars. August 19 – Springdale at Sunrise 5K at the Springdale Race Track in Camden. This is a “Race Against Hunter” event, with donations of non-perishable food items welcome, with Belgium waffles being served for participants after the race. There will also be a Packet Pick-up Party at Mulliken Law Firm in Camden the night before with free food and entertainment. For more information visit http://springdale5k.com/. August 19 – Solar Jam 2017 at the Palmetto Air Plantation in Manning. Enjoy a day of fun and excitement in preparation of the great Solar event with live entertainment by country artist Lewis Brice. For more information call (803) 435-4405 or visit https://www.eventsoja.com/us/manning+sc/e8690741. August 19 – Barbecue Dinner Train at the South Carolina Railroad Museum in Winnsboro. You will enjoy a fun evening riding on the train while enjoying good barbecue. For more information call (803) 635-9893 or visit http://www.scrm.org/ridethetrainpage.html. August 20 – “Two Small Pieces of Glass” at the DuPont Planetarium on the USC Aiken Campus in Aiken. Learn how telescopes work and how they have changed from the two pieces of glass Galileo used in his spyglass to the huge devices used today. For more information call (803) 641-3654 or visit http://rpsec.usca.edu/planetarium/showlist.html#twosmallpieces. August 20 – Digistar Virtual Tour at the DuPont Planetarium on the USC Aiken Campus in Aiken. Take a virtual tour through space, through a virtual amusement park and even a ride on a roller coaster. For more information call (803) 641-3654 or visit http://rpsec.usca.edu/planetarium/showlist.html#virtualjourney. August 21 – Solar Eclipse Party on the Courthouse and Courthouse Annex law in St. Matthews. St. Matthews is right in path of the full solar viewing some come out for some fun on this exciting day. For more information visit https://www.facebook.com/events/270148820109144/. August 21 – Solar Eclipse Festival at Yonder Field in Bowman. This will be a great event for the Eclipse, with an inflatable race and a music line up that includes Uncle Kracker, Corey Smith, and Edwin McCain. For more information visit http://santeecoopercountry.org/calendar-of-events#/santeecooper/event/141597756392702?_k=5fitax. August 21 – Total Solar Eclipse on the Lawn at the Santee Town Hall Complex in Santee. There will be live music by Visions so bring a picnic basket and enjoy the day. For more information call (803) 854-2131 or visit http://santeecoopercountry.org/calendar-of-events#/santeecooper/event/811691229008767?_k=j5i9bh. August 21 – Total Eclipse Watch Party at Dillon Park in Sumter. Come out to the Park for your Solar viewing while enjoying entertainment, food vendors, kids games, and more. For more information call (803) 436-2500 or visit http://www.sumtersc.gov/TotalEclipse. 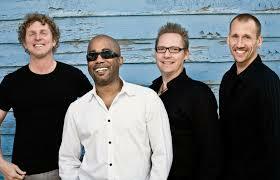 August 3 – Music on Main: “Black Glass Band” on Main Street in North Myrtle Beach. This is the only fully rock band playing this summer so head out for a fun night of live entertainment at the Beach! For more information call (843) 280-5570 or visit http://parks.nmb.us/festivalsevents/concerts/music-on-main-concert-series/. August 3 – Movie Nights in the Park at Shelter Cove Park on Hilton Head Island. “Herbie Rides Again” is the movie of the night, so be sure to bring the kids out for a fun night in the park. For more information call (843) 757-9889 or visit http://www.sheltercovetownecentre.com/events/2016/6/16/summer-movies-in-the-park. August 4 – “Government Mule” with guest “Galactic” at the Volvo Car Stadium on Daniels Island. End your week with an evening of amazing music with this famous southern rock band. For more information call (843) 856-7900 or visit https://www.livenation.com/events/665465-aug-4-2017-gov-t-mule. August 4 – 6 – Lowcountry Charity Open at Patriot’s Point Link in Mount Pleasant. The format is a 54 hole stroke play event in three divisions all to benefit children with chronic or terminal illness. For more information call (843) 881-0042 or visit http://www.patriotspointlinks.com/. August 4 – 6 – Gullah/Geechee Nation International Music and Movement Festival at various locations on St. Helena Island. Enjoy a weekend filled with music and dancing, as well as food, all while learning about this amazing culture of coastal South Carolina. For more information call (843) 838-1171 or visit http://www.gullahgeechee.info/. August 5 – Money Fair at the Alfred Williams Community Center in Charleston. Learn about money management at this fun event with prizes, food, and great information! For more information visit https://www.eventbrite.com/e/money-fair-2017-tickets-35117181435. August 5 – “Thunderstruck: The Ultimate AD/DC Tribute Band” at the House of Blues in Myrtle Beach. You will have an evening filled with heavy rock and roll, so come on out and join the party! For more information visit http://www.houseofblues.com/myrtlebeach/EventDetail?tmeventid=0E0052A9C13E560E&offerid=49284. August 5 – “Whitehall”, “Kid Brother”, and “Milo in the Doldrums” at the Music Farm in Charleston. Come out and support these up and coming bands! For more information visit http://www.musicfarm.com/event/1526401-whitehall-den-show-charleston/. August 9 – Camp Dig-It with Dwayne Pickett at the Morris Center for Lowcountry Heritage in Ridgeland. This is a chance for children ages 7 to 12 to learn the basics of archaeology with hands on opportunities. For more information call (843) 284-9227 or visit http://www.morrisheritagecenter.org/events/. August 9 – “Mary Chapin Carpenter” at the Charleston Music Hall in Charleston. You will enjoy an amazing evening of music with this 5 time Grammy Award winning singer/songwriter. For more information call (843) 853-2252 or visit http://www.charlestonmusichall.com/event/1443443-mary-chapin-carpenter-charleston/. August 9 – 13 – Cirque Du Soleil: OVO at the North Charleston Coliseum in North Charleston. Meet the creative characters in this new and amazing presentation by the wonderfully talented performing artists. For more information call (843) 529-5000 or visit https://www.northcharlestoncoliseumpac.com/events/detail/cirque-du-soleil-ovo. August 10 – “David Feherty – Live Off Tour” at the Charleston Music Hall in Charleston. Known as the funniest man in golf, you will certainly enjoy an evening of fun entertainment. For more information call (843) 853-2252 or visit http://www.charlestonmusichall.com/event/1421878-david-feherty-live-off-tour-charleston/. August 10 – Music on Main: “Midnight Allie” on Main Street in North Myrtle Beach. Spend an evening relaxing with beach and variety music in a fun and festive setting. For more information call (843) 280-5570 or visit http://parks.nmb.us/festivalsevents/concerts/music-on-main-concert-series/. August 10 – Movie Nights in the Park at Shelter Cove Park on Hilton Head Island. Take the kids out for a night out under the stars with the movie“Pocahontas”. For more information call (843) 757-9889 or visit http://www.sheltercovetownecentre.com/events/2016/6/16/summer-movies-in-the-park. August 11 – “Tesla” at the House of Blues in Myrtle Beach. You will most certainly enjoy an evening with this 80’s band! For more information visit http://www.houseofblues.com/myrtlebeach/EventDetail?tmeventid=0E00528BE13FA2B7&offerid=46710. August 11 – “Paul Thorn Band” at the Charleston Music Hall in Charleston. Although a former prize fighter, this musician began writing songs and has become one of the amazing country musicians from Memphis. For more information call (843) 853-2252 or visit http://www.charlestonmusichall.com/event/1439008-paul-thorn-band-charleston/. August 11 – 12 – “Hootie and the Blowfish” with guest Friday “Cowboy Mouth” and Saturday “Stop Light Observations” at the Volvo Car Stadium on Daniel Island. This will be a fun weekend filled with great music from old favorite Columbia band and the guests so don’t miss this chance to enjoy an evening with Darius and friends. For more information call (843) 849-5300 or visit http://www.familycircletenniscenter.com/page.lasso?p=content_concerts. August 11 – 27 – “The Wedding Singer” at the Footlight Players Theater in Charleston. Based on the 1985 Adam Sandler movie, this favorite wedding singer is the life of the party until his fiancé leaves him at the altar. For more information call (843) 722-4487 or visit https://footlightplayers.net/events/the-wedding-singer/. August 12 – Staging the Solar Eclipse at the Caw Caw Interpretive Center in Ravenel. Learn all you need to view the solar eclipse safely by a master naturalist. For more information call (843) 795-4386 or visit https://www.ccprc.com/3237/Solar-Eclipse. August 12 – “Hunter Hayes” at the House of Blues in Myrtle Beach. This is one artist that will inspire you and have you feeling good about life when you leave! For more information visit http://www.houseofblues.com/myrtlebeach/EventDetail?tmeventid=0E005244FA6F7EE9&offerid=46902. August 12 – Shaggin’ on the Cooper on the Mount Pleasant Pier in Mount Pleasant. Enjoy an evening of dancing on the harbor under the stars to the band “Vinyl Daze”. For more information call (843) 795-4386 or visit http://ccprc.com/1175/Shaggin-on-the-Cooper. August 12 – Wannamaker Movie Night at Wannamaker County Park in North Charleston. The movie “Sing” will be show as the last movie of the season so come out for one last fun evening under the starts in the park. For more information call (843) 795-4386 or visit https://www.ccprc.com/1667/Wannamaker-Movie-Night. August 13 – “Living for the City: The Music of Stevie Wonder” at the East Beach Conference Center on Kiawah Island. This show was the most popular Charleston Jazz Orchestra Concert for 2016, so if you missed, be sure to see this show! For more information call (843) 641-0011 or visit http://charlestonjazz.com/event/living-for-the-city-the-music-of-stevie-wonder-featuring-quiana-parker/. August 13 – Charleston Sprint Triathlon Series Championship at James Island County Park in Charleston. This will be the final event so come out and support your favorite athlete at this event! For more information call (843) 795-4386 or visit https://www.ccprc.com/1507/Charleston-Sprint-Triathlon. August 16 – Jazz at the Gibbes featuring Lewis / Gregory / Wiltrout at the Gibbes Museum in Charleston. You won’t want to miss these three amazingly talented Charleston musicians. For more information call (843) 641-0011 or visit http://charlestonjazz.com/event/jazz-at-the-gibbes/. August 17 – “Culture” featuring “Kenyata Hill” – 40th Anniversary of Two Sevens Clash Album at the Music Farm in Charleston. This will be a great evening of reggae music taking you to the islands with these amazing artists. For more information visit http://www.musicfarm.com/event/1527181-culture-kenyatta-hill-40th-charleston/. August 17 – Music on Main: “Painted Main” on Main Street in North Myrtle Beach. You’re over the mid-week hump, so come out and relax to some R&B and variety music to help you unwind! For more information call (843) 280-5570 or visit http://parks.nmb.us/festivalsevents/concerts/music-on-main-concert-series/. August 17 – Movie Nights in the Park at Shelter Cove Park on Hilton Head Island. “Flight of the Navigator” is the final movie of the season, so grab a blanket, some snacks, the kids, and even the dog and head out for a fun night out in the park. For more information call (843) 757-9889 or visit http://www.sheltercovetownecentre.com/events/2016/6/16/summer-movies-in-the-park. August 18 – “Who’s Bad: The Ultimate Michael Jackson Experience” at the House of Blues in Myrtle Beach. This band will have you dancing and moon walking to all your favorite Michael Jackson tunes. For more information visit http://www.houseofblues.com/myrtlebeach/EventDetail?tmeventid=0E00529B1D281C45&offerid=46712. August 18 – Moonlight Mixer on the Folly Beach Pier in Folly Beach. Enjoy your Friday night along the coast with music and dancing under the beautiful full moon! For more information call (843) 795-4386 or visit http://ccprc.com/1618/Moonlight-Mixers. August 18 – Sunset Celebration at Shelter Cove Park on Hilton Head Island. The merchants of Shelter Cove have come together this summer to offer you a chance to end your week with live entertainment by Deas-Guyz and relaxing fun on the water, so come out and enjoy the last of these for the summer. For more information call (843) 686-3090 or visit http://www.sheltercovetownecentre.com/events/. August 18 – September 10 – Southern Living Custom Builder Program Showcase Home at Litchfield Plantation on Pawley’s Island. Here’s a chance to view an amazingly built and designed home, with all proceeds benefiting Operation Finally Home and Teach My People. For more information call (843) 839-0537 or visit https://www.eventbrite.com/e/2017-southern-living-showcase-home-by-classic-homes-of-myrtle-beach-tickets-35016354860. August 19 – Chase the Sun Glow Run 5K at the Moncks Corner Regional Recreation Complex in Moncks Corner. This event will include a 5K race and a 1 miles kids fun run. For more information visit https://raceroster.com/events/2017/11378/chase-the-sun-glow-run. August 21 – Eclipse Day at the Audubon Center at Beidler Forest in Harleyville. Watch the eclipse from an observation tower in the beautiful Four Holes Swamp which houses the last stands of virgin Cypress in the world. For more information call (843) 462-2150 or visit http://events.r20.constantcontact.com/register/event?oeidk=a07edqti2326153b1e9&llr=9lem8lmab. August 21 – Sun Shadow Yoga on the Mount Pleasant Pier in Mount Pleasant. Enjoy a midday relaxing yoga class in the shadow of the sun along the harbor. For more information call (843) 795-4386 or visit https://www.ccprc.com/3237/Solar-Eclipse. August 21 – Eclipse Extravaganza at the Caw Caw Interpretive Center in Ravenel. Join a naturalist and tour the Caw Caw to learn how wildlife respond to the eclipse. For more information call (843) 795-4386 or visit https://www.ccprc.com/3237/Solar-Eclipse. August 21 – Low Country Stargazers at Palmetto County Parks in Mount Pleasant. Join the stargazers in doing some solar observing before the eclipse. For more information visit http://www.lowcountrystargazers.org/p/ec.html. August 21 – Solar Eclipse Viewing at the Old Santee Canal State Park in Moncks Corner. This is a great place to be as the stargazers will be doing some solar observing, food trucks will be on hand, and live entertainment will be performing. For more information visit http://www.lowcountrystargazers.org/p/ec.html. August 21 – Get Eclipsed on IOP on Front Beach on the Isle of Palms. Behind the Windjammer you’ll find a DJ playing great music before and live music will be performed following the solar eclipse, with children’s entertainment being available at the Isle of Palms County Park. For more information visit https://www.ccprc.com/3237/Solar-Eclipse. August 22 – “Tony Bennett” at the Gaillard Center in Charleston. You will not want to miss this opportunity to see this 90 year old legendary singer and performer in person. For more information call (843) 724-5212 or visit https://gaillardcenter.org/event/tony-bennett/.